Players lucky enough to score a Pokemon Go TM can use it to teach their Pokemon a new move. Niantic is gearing up for a full rollout of their latest and greatest Pokemon Go update, the oft-referenced gym overhaul update that's set to include a host of new features and items. Among the new items is the Technical Machine, or TM, that players can use to teach their Pokemon new moves. Despite its level requirement, this special ability makes the TM one of the most useful items in the game, and we've got all the details players need in order to earn and make use of the Technical Machine. Players who are looking to nab themselves a Technical Machine in Pokemon Go will have to head over to the nearest gym and participate in one of the game's new Raid Battles. Technical Machines, alongside other new items like Golden Razz Berries and Rare Candy, are among the new drops players can earn after defeating a Raid Boss. With that said, the Technical Machine is a rarer drop than the Godlen Razz Berries or Rare Candies -- Tier 1 Raid Battles only offer about an 11% chance of dropping a TM, though players participating in Tier 3 and 4 battles can expect a TM drop rate of around 40% and 64% respectively. Keen Pokemon Go trainers should know that there are two different varieties of Technical Machines available within the game: Fast and Charged. The Fast TM requires players to be at least level 15 to use, and it can teach their Pokemon a random fast move. The Charged TM requires a player level of at least 25, and will teach the Pokemon a random charged move. Naturally, these level requirements aren't very important for the moment, since any players who are currently able to particpate in Raid Battles must be at least level 35. 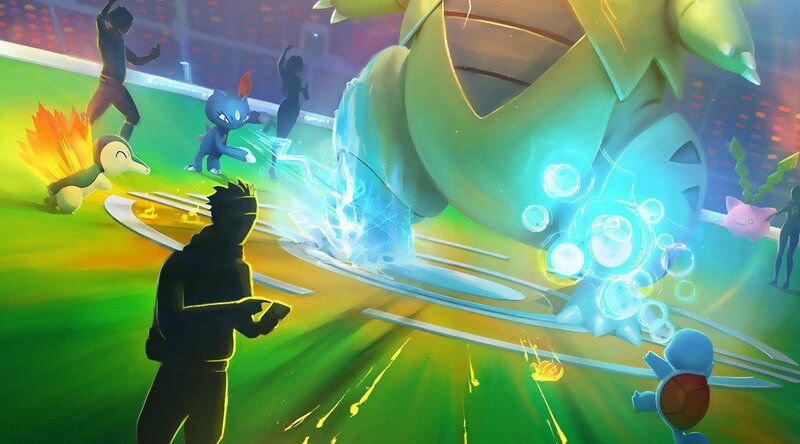 However, next month when the update makes its formal rollout, players of any level will be able to participate in Raid Battles, and the Technical Machine level limitations will need to be considered. Once the TM has been earned, using it is very simple: players just need to go into their bag and select the Technical Machine. Doing so will open up a prompt that allows the user to scroll through their list of Pokemon to select the creature they wish to use the TM with. It's worth mentioning that the Technical Machine will only grant the Pokemon a new move -- there's no chance that the Pokemon will get a duplicate move, which is likely a deliberate choice made by Niantic to keep Pokemon from becoming too overpowered. Fortunately, the machine can be used on any available Pokemon regardless of Type or gender, meaning players should be able to use the TM to help buff their current Pokemon lineup. Pokemon Go is one of many fantastic free-to-play games on iOS and Android platforms. To discover more, check our list of the Best Free To Play Games.